Due to unforeseen circumstances, our previous baritone has had to step aside from Cracked Voices. We’d like to introduce Miles Horner who will be joining our performing quartet for our two upcoming concerts. 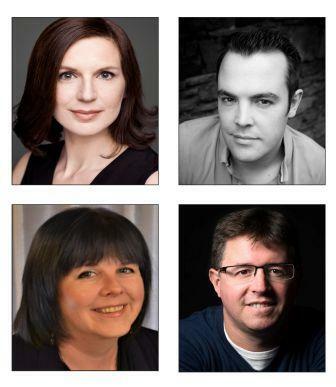 Head to the performers page to find out more about Donna, Miles, Sue and Ralph. This entry was posted in Uncategorized on February 11, 2018 by Jenni Pinnock.